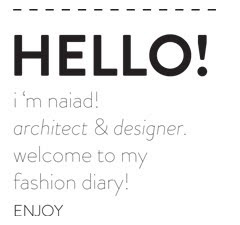 i am naiad and this is my first post in my new blog. that is why as soon as i checked some websites i felt the urge to let you know. and always bear in mind that this season everything goes.